Early psychological intervention is key for patients who have gone through traumatic incidents, according to Changi General Hospital (CGH), as this could help prevent the development of post trauma mental conditions which include anxiety, depression and post-traumatic stress disorder (PTSD). Since 2007, CGH has provided early psychological intervention to close to 6,000 of its patients. The hospital has found that only one in 33 of them need follow-up treatment for post trauma mental conditions. In comparison, the global figure is one in 10, according to internationally published research studies. Speaking at the TRaCS Conference on Friday (Jun 24) held at CGH, Minister of State for Health Lam Pin Min highlighted a 2013 World Health Organization study, which estimated that 3.6 per cent of the world population suffered from PTSD. “The resulting stress disorder from surviving a traumatic event – or even being witness to one, is an illness with different manifestations,” he said. More than 50 per cent of patients identified for CGH’s early intervention screenings were admitted because of road traffic accidents. The rest were work-related or industrial accidents, and assaults or domestic violence. After the patients have been identified from CGH’s emergency ward, counsellors under its Trauma Recovery & Corporate Solutions (TRaCS) team will assess their risk of developing psychological or psychiatric problems. Those who need extra support – in areas like psychiatric, financial or counseling – will be referred accordingly. A second screening is done a month later through the phone to ensure the patient is coping and to deduce if they need further support. All patients are given brochures with information on recognising the symptoms of trauma and when to seek help. 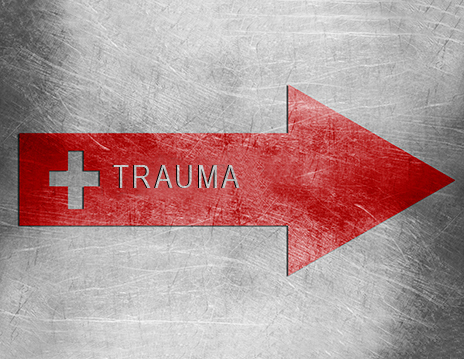 According to CGH, patients who have gone through traumatic incidents are often not aware of the emotional impact. Common reactions could include difficulties in sleeping or concentrating, all of which can become a burden on a person’s mental health condition. As such, it has placed a heavy emphasis on the need for early intervention. CGH said it may look into eventually increasing the number of counsellors, to ensure as many patients receive help as soon as possible. It currently has three counsellors on its TRaCS team.